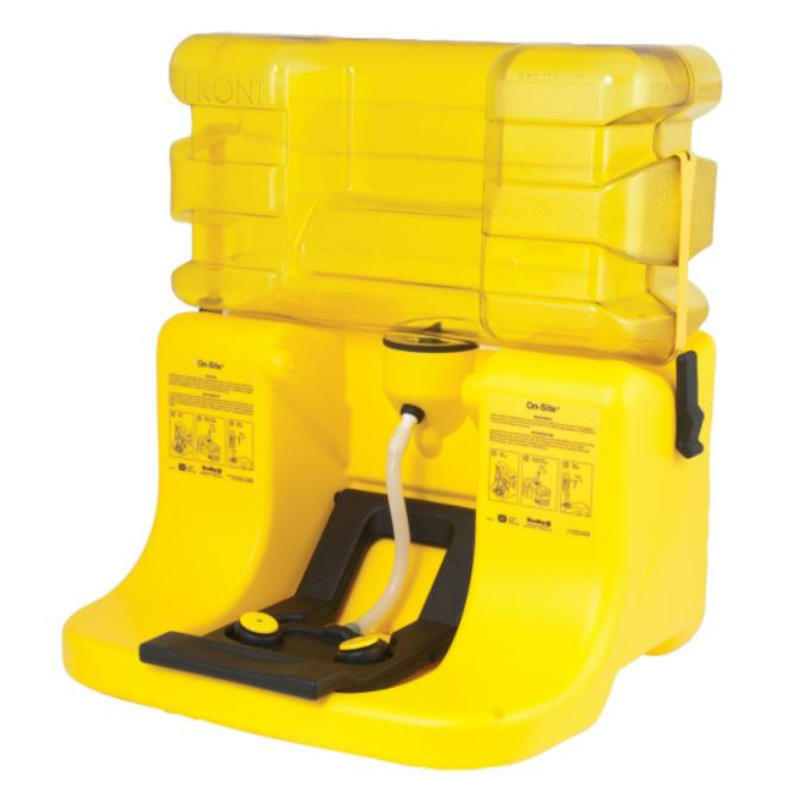 The Bradley On- Site Portable Gravity-Fed Eyewash Station is a portable unit which can be mounted on a wall, bench, or a transportable waste cart. Water flow is easily activated when the arm is pulled down. Also available to be purchased with this product is a heater jacket unit which prevents freezing of the fluids in extremely low temperatures, down to -10 degrees Fahrenheit. Optional waste cart is also available which the eyewash station can be installed on for easy transportation. The yellow polyethylene waste cart is highly durable and visible with a 56 gallon capacity. When eyewash is activated the wastewater drains into the waste cart to be later emptied through the drain hole at the bottom.